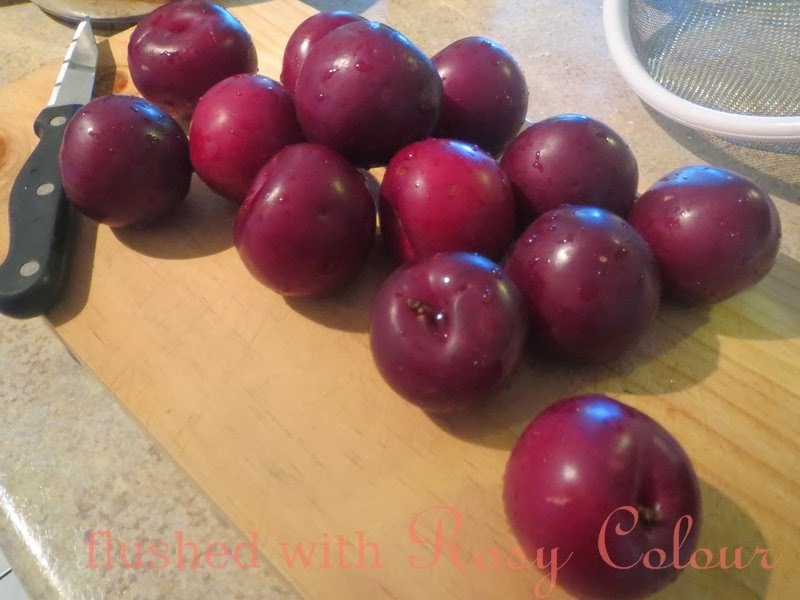 Well, Tom's party went well, and Pa bright a bunch of fruit with him to share from Stanthorpe, including these bunch of beautiful looking plums. We didn't get to eat them all so we turned them into Chinese plum sauce! We had it with pork steaks, it was very yummy! 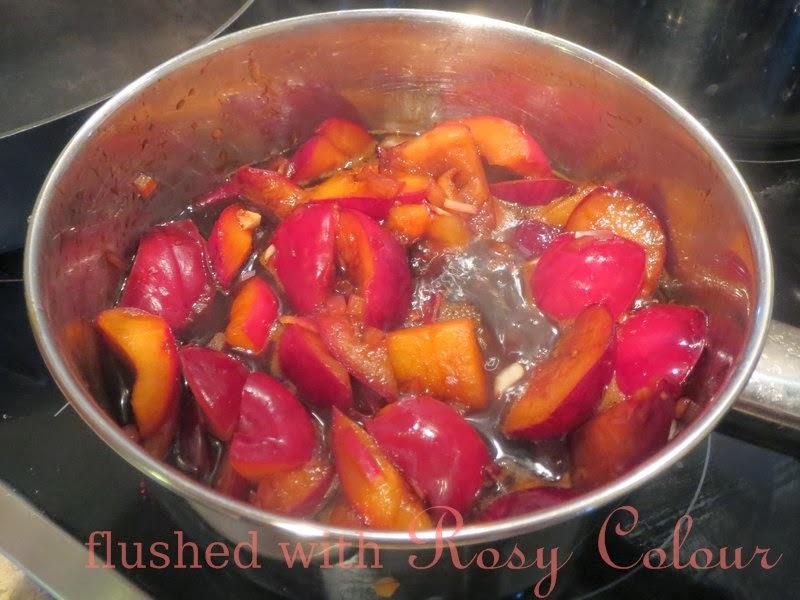 It was quite tart because the plums were, but yummy all the same. The recipe we used was for traditional Chinese plum sauce from scratch. We didn't have any ginger, so we simply skipped it.